What Can a Brain Scan Reveal About Your Brain's Health? The results may surprise you, too. 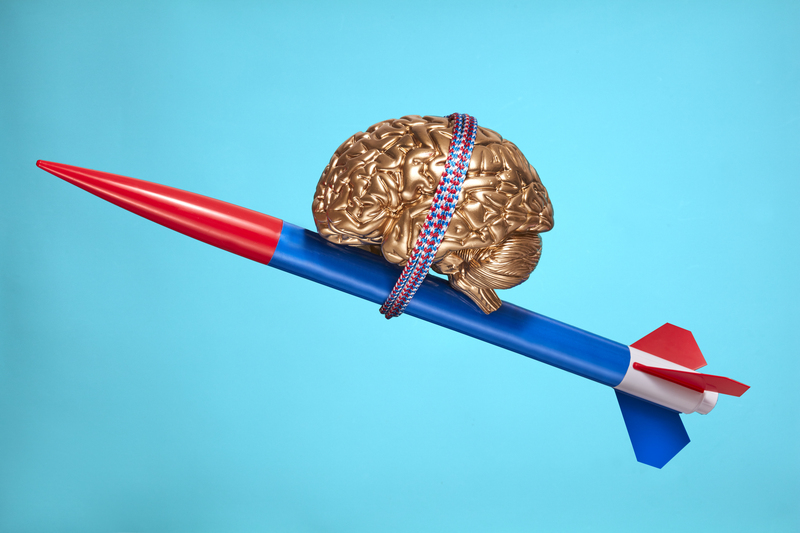 A model brain atop a rocket symbolizes innovation, progress, and psychology topics. I’ve always wondered about my brain. What does it look like? Does its texture change over time? Does it swell when I’m anxious? Some of these curiosities can be addressed with a simple Google search, but others — like questions about my mental health — are more personal, and not of the search engine variety. When I was younger, for example, I was diagnosed with depression, but it’s not something I identify as having today. Even though I don’t feel like I’m depressed now — I’m no longer treated with therapy or medication — would an image of my brain reveal otherwise? I recently decided to get a brain scan with psychiatrist Daniel Amen, M.D., a renowned yet controversial figure in psychiatry today. I hoped that this experience would answer some of these lingering questions. The results, as well as Dr. Amen’s suggestions for me, may surprise you. Alexandra Hayes is the audience engagement editor at Thrive Global. Prior to joining Thrive, she was a middle school reading teacher in Canarsie, Brooklyn. In her free time, she enjoys writing fiction, perfecting her own version of Bucatini all'Amatriciana, and talking with her partner about nothing, and everything. She hopes to soon have a bulldog named Rigatoni (Toni for short).